Did you know that 100 million videos are watched online every day and that 90% of online shoppers find videos helpful when making buying decisions? What's stopping you from making your own pizzeria videos? Since you're probably wondering how video can help your pizzeria, I went to Micki Pagano, creative director and co-owner of business video production company Branding Shorts to gather some tips on how pizzerias can use video to their advantage. Read on to find out more. You only have seconds to engage a website visitor. Studies show that a landing page video keeps visitors on your site at least two minutes longer and generates a 7x higher response rate. You’ll not only emotionally engage your audience, but you’ll create stickiness. Which means people stick around to watch, share and interact with you. You’re on Facebook and Twitter, but how do you attract more followers? Did you know that 700 videos get shared every minute on Twitter? People are more likely to share video on social media than text updates. No one can resist the urge to click a play button. Adding video to your email marketing campaign increases click through rates by 3x. It drives traffic to your website and improves conversion rates. Products presented as video are 95% more likely to be purchased. Amazing. Cast your staff in your video and turn them into internet stars. What’s great about that? They’ll become your sales force, sharing the video in their Social Media networks, and their friends will share it, and so on and so on. Before you know it, your video goes viral, collecting hits and driving visitors to your site or right into your store. There are 88 million mobile video viewers in the US alone - and growing. 92% of mobile video viewers share video. One of the great ways to get mobile exposure is to embed your video into a QR code. And what’s a QR code? They’re those funny square images you see everywhere. In fact, video is the most popular use for QR codes. They make print items engaging and interactive. So anyone with a mobile phone can scan your QR code, see your video and share it, post it or contact you with the touch of a finger. Video is not for online alone. It’s a powerful tool to draw customers into your pizzeria or restaurant storefront. Video monitors are become more affordable and popping up everywhere, on city street corners, on buses, in train stations, on billboards, in Taxis and so much more. So that same video you’re using on your site and social media can be utilized in countless ways to create awareness and drive traffic to your pizzeria. What’s in a signature beside your name, number and website? How about your video? By placing a link to your video with your signature, you can engage your recipients with a personal message, drive them to your website and if they like what they see, they just may drop by your place or even share it with their contacts. What better way to gain subscribers and followers than to create your own You Tube channel? 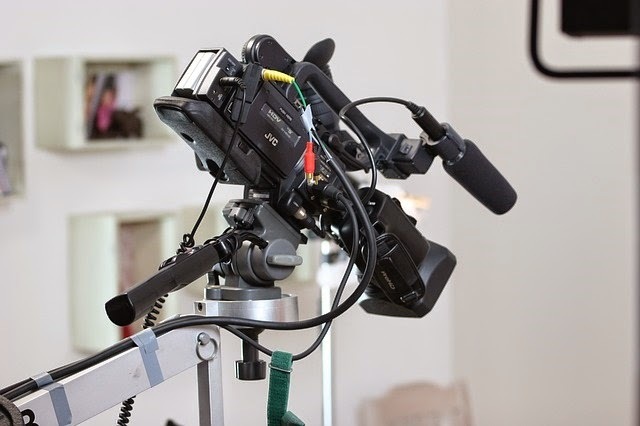 Let’s say you have a series of compelling video testimonials or maybe you have recipes to share. Post them on your own channel. Not only do you create compelling content, but the opportunity to have visitors share your videos directly from You Tube. With just one click your video can be on anyone’s social media network and you can be a You Tube star! Newer TVs can also access You Tube channels - which gives you even more exposure. Bring your press release to life by embedding a video. Share your video on LinkedIn and get more exposure and business. Use your video in reservation confirmation and embed it into a PDF menu to stand out from your competition and draw more customers to your place. These are just a few of the many ways to use video. Every year brings more and more opportunities to reach and engage with video; it’s flexible, durable, and has longevity. If you’re not leveraging the power video, you’re missing out. Are you currently using video to attract customers? Tell us how and share a link to your video in the comments below.